Builds abdominal and core strength. 1) From a seated position, bring the legs straight up to a 45 degree angle. 2) The torso will naturally fall back, but do not let the spine collapse. Make a “V” shape with the body. 3) Bring the arms out straight in line with the shoulders. 4) Balance on the sit bones. Bend the knees if necessary, bringing the calves parallel the the floor. 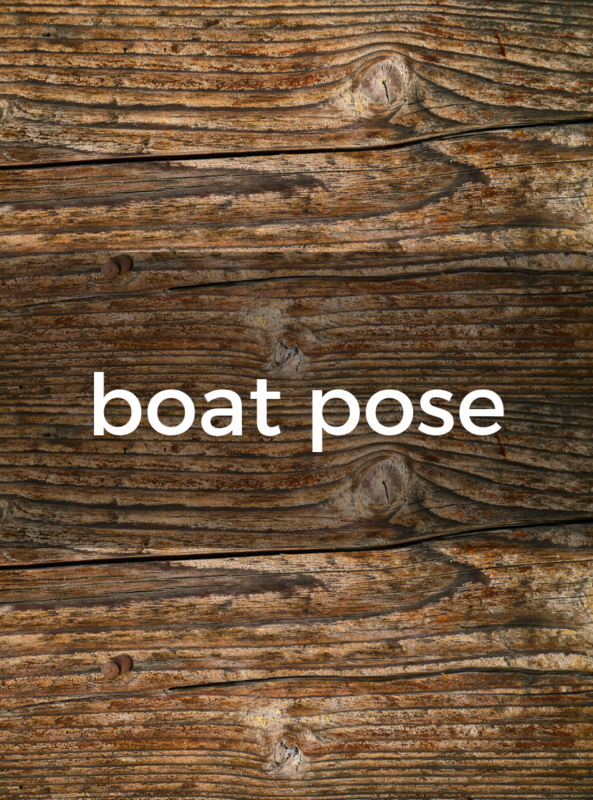 This is Half Boat Pose (click the photo to see this variation). To increase core strength, release from the pose bringing the legs and torso simultaneously towards the floor and hold just before you touch the floor. Come back up into the pose like a sit-up. Repeat this several times.